Earth Day is an annual event celebrated on April 22. Worldwide, various events are held to demonstrate support for environmental protection. First celebrated in 1970, Earth Day events in more than 193 countries are now coordinated globally by the Earth Day Network. This year, in the celebration of Earth Day, I thought I’d walk through my process of how to do a plastic audit in your home. But first, let’s take a look at the dangers of plastic and why it is not as recyclable as we are lead to believe. What do you know about plastics? Although it is one of the most common packaging material used worldwide, it ends up in our landfill and our oceans. It eventually makes its way back to us through the foods we consume. There are also a lot of facts that are not widely known, here are some facts from the Plastic Pollution Coalition. Although it was considered one of the breakthrough materials discovered in 1907, only now are we realizing the damaging consequences of using this material so rapidly. How is it harmful? There is a huge misconception that all plastics can be recycled, however, that is not the case. Microplastics are small plastic particles in the environment. They come from a variety of sources, including cosmetics, clothing, and industrial processes.Two classifications of microplastics currently exist: primary microplastics are manufactured and are a direct result of human material and product use, and secondary microplastics are microscopic plastic fragments derived from the breakdown of larger plastic debris like the macroscopic parts that make up the bulk of the Great Pacific Garbage Patch. Both types are recognized to persist in the environment at high levels, particularly in aquatic and marine ecosystems.Because plastics do not break down for many years, they can be ingested and incorporated into and accumulated in the bodies and tissues of many organisms. The entire cycle and movement of microplastics in the environment is not yet known, but research is currently underway to investigate this issue. Here is more information from the National Ocean Service, What are microplastics? After charting each item, plan how to avoid purchasing plastics by using the Plastic Pollution Audit Chart. What actions will you take to reduce the amount of plastic being brought into the home? Can you refuse the plastic packaged product by finding an alternative in a non-packaged form? Or would reducing the amount taken in be a better step for you? Maybe consider investing in a sustainable, resuseable product, so you eliminate the single use plastic product. If you choose to keep track of your plastic use on a monthly basis, you can audit each month by recording how much plastic you use and compare your yearly results using the Plastic Pollution Tracker. Change out all of your light bulbs to energy efficient CFL or LED light bulbs. The energy savings of cooler-burning bulbs, including CFL and LED, can have a significant impact on your utility bills and on making your home greener. An Energy Star light bulb replaces about six incandescent light bulbs because it lasts six times longer than the average light bulb. Change out your dangerous household cleaners with safer versions or make your own from vinegar/apple cider vinegar and water. Vinegar is a mild acid, which makes it a great multi-purpose cleaner for around the house. As a household cleaner, vinegar can be used to do anything from removing stains, to unclogging drains, to disinfecting, to deodorizing, and it can even be used to remove stickers. You can use it undiluted, combined with baking soda, or as an ingredient in a homemade household cleaner, and every room in your house can benefit from vinegar in some way. Check out 45 Uses For Vinegar. If you have the option of drinking tap water, switch to tap water or buy a attachment filter if needed. Watch environmental documentaries to learn more about what has been researched and discovered through these films. Here is a list of some movies I found on Youtube in which you can watch for free. Bike or take public transportation instead of driving. Instead of driving everywhere, try taking public transportation, biking or even walking to places. Schedule a visit your local recycling center and tour the facilities to understand where your trash goes and how it gets sorted. It sounds strange but every piece of trash we throw away has a different route towards recycling or on its way to the landfill. Each county and each state has different recycling processes and so learning about your local recycling process is always helpful. You’ll be more informed and more aware of what REALLY happens when you recycle your trash. Join a local park, river or beach clean up. Plant a tree, herb garden, or even flowers! Earth Day will be celebrated on April 22, 2018 this year, so you still have over a month to decide what you want to do! Check out the Earth Day Network to find out more information. They have an extensive website that has a list of campaigns and activities for participants. San Francisco, it’s a beautiful city with so much history, it’s mesmerizing. This city made a significant impact on my life because my zero waste journey started with this city. 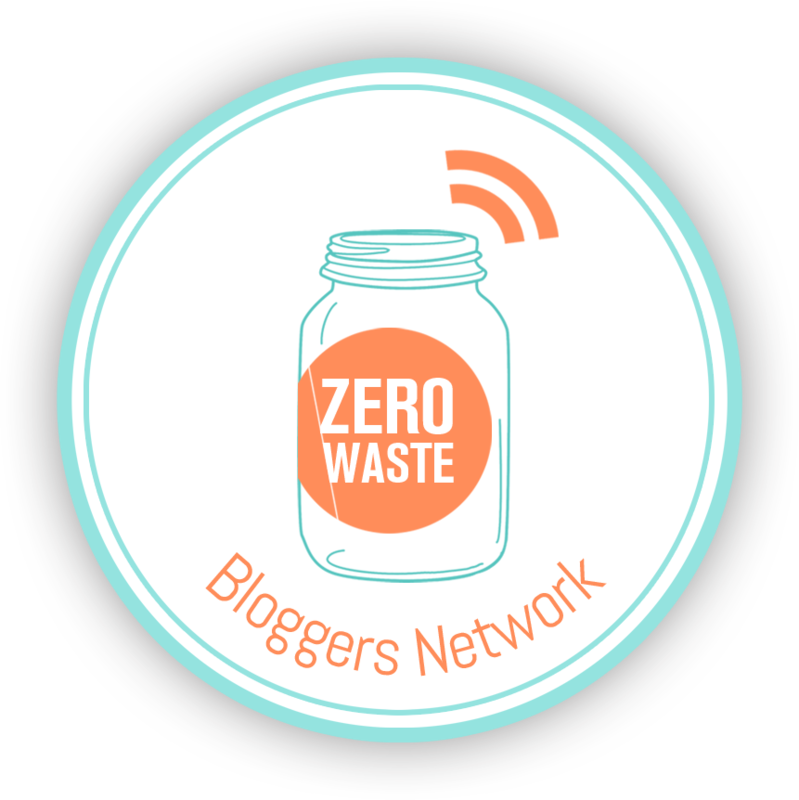 I don’t share this story often, but I thought I’d finally give a background to how I started my zero waste journey seven years ago. I had moved to San Francisco to attend graduate school. It was a big city with so many places, restaurants and activities to explore, I couldn’t even keep track of everything I wanted to do. At the time, I was working as an Emergency Medical Technician (EMT) for a large, and well know ambulance company. Fulton Avenue and Stanyan Avenue path into Golden Gate Park. I had moved into a studio apartment in the Richmond District and it was on the third floor of a three story building. It was a beautiful studio. With hardwood floors and a cozy interior, I settled in. My building stood directly across the street from Golden Gate Park. It was an interesting location because on the weekends, the park was closed to cars on Saturdays, so the foot traffic was busy. I could also open up my windows on the weekends and I listen to the music performances from inside of the park. Since I was on the top floor, sunlight consistently illuminated my apartment all day and all year long. I lucked out on that part because San Francisco can become very cold and foggy during certain seasons. I was raised and lived in the suburbs my entire life so living in a condensed large city was quite a new experience. All of my routines including grocery shopping, working out and even parking was new and took a bit of an adjustment. I parked on the street since my apartment didn’t have a parking lot. This is also how I learned to become a stealth car parking spotter. Understanding and knowing which streets you could park on in the city was a must in order to avoid parking tickets. San Francisco streets are each scheduled for street cleaning all week long on different days and at different hours, so you have to be careful of where you park, or you’ll get a ticket for blocking the street cleaner. Living in San Francisco also introduced me to trash chutes. A trash chute is a smooth, open shaft in a multistory building, used to convey trash from upper floors to a collection room. My building’s trash chute could only be accessed from the exterior wooden staircase on the side of the building. From each floor, there was an door which allowed access to the staircase. The problem was that these doors were very heavy and never stayed open. It took quite a bit of effort to even open these doors and step out on the balcony in order to access the trash chute; it seemed that they were installed to slam shut. It could have been an issue with the spring on the door, but regardless, it took a lot of force to open the door and hold it open. San Francisco also separates their trash out into categories: trash, recyclables and compostables. Therefore, I had to separate my disposable items. This is where my problem lay. When I first moved into the apartment, I thought the trash chute was great. It was useful, accessible and being that I was located on the third floor, it seemed convenient for me. However, it only gave access to the trash bin, not the compost bin or the recyclables bin. When I used the trash chute, my trash bag would bounce around the chute all the way down to the trash bin. It made quite a bit of noise and I thought that wasn’t appropriate since I didn’t know if my neighbors worked night shifts or slept during the day. So I would carry my trash all the way down the narrow exterior stairs. These stairs were very old and were designed to be very narrow. This meant I had to carry my three seperate bags directly in front of me. Some weeks this was not ideal since my bags would be so full, so I had to take two trips. Taking two trips meant that I would carry two bags down together, let the stairwell door slam shut behind me, walk down the exterior stairs and throw my bags away, exit the side yard in order to enter my building from the front. I would then walk up the inside staircase to my apartment, and grab the last bag to repeat this routine. In order for me to throw away all three bags, I routinely had to exit my building twice and enter it twice; all the meanwhile walking up and down two sets of stairs. I didn’t like taking two trips just to throw out trash, so I decided that I had to eliminate one of the bags. This is where my zero waste journey began. In order to simplify my weekly “taking out the garbage routine,” I decided that getting rid of my trash bag would be the easiest solution. I had to first start swapping out all of my disposable items and figure out how to either replace the items with more sustainable solutions or eliminate them from my life completely. I decided to tackle all of my disposable items in the kitchen first. I started by swapping out my kitchen sponges for smaller washcloths, and then started buying food without packaging. That took a little bit more planning because I had to purchase glass tupperware and change my diet slightly. Changing my diet included giving up certain foods that came in packaging such as certain types of meat, candy, snacks and cereal. I switched those out for bulk snacks such as nuts, granola mixes, whole vegetables and fruit. I started eating whole grains for breakfast and really took solace in my progress towards a zero waste life. Although swapping out disposable items meant that my laundry load would increase, it really didn’t increase by a lot. I went through my kitchen items and then moved over to my bathroom items. I paid attention to the materials of the items I was replacing my disposable with. I always tried to choose 100% cotton material, bamboo, stainless steel or glass. I then went through my clothes and started donating everything I didn’t need. My journey to a zero waste life took about a year and half. It sounds like a significant amount of time, but if you think about auditing your entire life, there’s a lot of stuff to go through and get rid of. During my zero waste journey, I also started minimizing my life where I also implemented a minimalistic lifestyle. I’m writing about this story of how I got started because truth be told, it started because I was lazy. That’s the honest truth. Each blogger has a story of how they got started and this is mine. A lot of bloggers tend to move towards this lifestyle based on their awareness of their own plastic use and it’s commendable that they started living with less plastic. I wanted to write my experience so that my audience may know that not all zero waste journeys need to start with fighting for the environment. Sometimes it happens on a fluke, a chance encounter, but that it’s very possible to live this way. I did notice the benefits of living a zero waste life as I dove deeper and deeper into it and the environmental impacts became more evident as I continued on. But my story doesn’t start with an ethically conscious mindset. It started because the exterior stairs at my apartment building was too narrow to carry three bags down to the trash bin. Having an Eco-friendly holiday isn’t as daunting as it sounds. It might sound complicated because the concept is different, but it’s actually pretty simple. So for each holiday there are basic aspects of the holiday celebration I like to check off: decorations, food and entertainment. I don’t always cover all three categories equally and majority of my focus will usually be on the food. Decorations tend to be covered easily being that Christmas is such a huge holiday celebrated. Honestly, any type of decoration that is compostable or reusable is a good idea. Here are some ideas for zero waste holiday. Seasonal leaves, fruit, create a centerpiece suing branches and colorful seasonal leaves. Gift ideas can be tricky for this holiday since it’s based around an iconic tree as well as what surrounds it on Christmas Day. 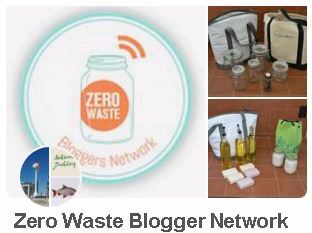 However, here are a few ideas for zero waste gifts, you might want to consider. Check social media sites (Groupon, Living Social, Ticketmaster, etc.) for great deals for events and activities for family and friends during the holidays. For medium sized gifts, I’ll wrap the gift in an extra t-shirt. Entertainment during the holidays can be daunting as well. Usually families have kids around or simply need entertainment playing while the day is happening. Movies- if you are able to stream movies, there are a few great resources to stream holiday movies during this time. Check YouTube or other streaming media, they usually have full movies uploaded to watch. I wanted to calculate my carbon footprint because I haven’t ever done so. I know that I watch what I buy and how much energy I use so I was hoping it would be low. There are aspects of my life I could probably change to reduce my carbon footprint, but I wanted a base number to start with. There are a few different carbon print calculators available, but this is the one I used. Also, I’m located in the United States of America, so I used the Nature Conservancy Carbon Calculator, from the Nature Conservancy. What is your approximate gross annual household income? Travel: HOW DO YOU GET AROUND? Home: HOW MUCH DO YOU USE IN YOUR HOME? Food: HOW MUCH DO YOU CONSUME OF EACH OF THE FOLLOWING? Shopping: HOW MUCH DO YOU SPEND ON EACH OF THE FOLLOWING? So my results stated that my Total Footprint is 20 tons CO2/year, which is 59% better than average person. This is a good standing to start from. I’m actually quite happy with it. I could try to adjust my daily decisions to see if I can reduce my footprint a re-take the survey, but it’s a good starting point. So I bought an e.l.f. Angled Blush Brush from Target back in 2016 and it came in a clear plastic bag such as the ones in the pictured below. I didn’t want to add it to my trash collection, so I set out on trying to figure out how to convert it into a product that would be useful in mylife. I knew I wanted to create a holder for all of my brushes (luckily I only use two types of brushes) So I came up with this design to hold my vertical make up tools, such as my mascara, eyeliner pencil, angled blush brush and my EcoTools, Bamboo Smudge Eyeliner Brush. I sewed the flap that covered the holder to the bag itself. I did this because, I didn’t want to remove the flap to access a clean opening but to also reinforce the bottom of the holder. (At this point I had decided to hang this object as a vertical brush holder). I used a permanent marker to show you where I placed my cuts on each side of the bag. On the same side as the hold punched hole, I sliced a longer slit on the bottom third of the bag. On the opposite side of the bag, I sliced a shorter cut closer to the top. These cuts do not cut through both walls, please keep that in mind. This design will only work if both walls of the holder are not cut at the same spot. For the taller brushes, I am able to insert both of my brushes through the opening at the top, however, I can also slide the brush I tend to use through the slit towards the top. The same rule applies for the slit towards the bottom third of the bag. I can use the slit I had created to hold my mascara and eyeliner but be able to access them from the outside. The next few images demonstrate the versatility of the cuts better than how I’m describing them. Here is what the bag looks like when it’s hanging up and being utilized. You can see that my EcoTools, Bamboo Smudge Eyeliner Brush is inserted through the opening I had created (towards the top of the bag) and that my angled blush brush is actually on the inside of the bag. I use my Eyeliner brush more than my angled brush so this is why I keep it on the outside, for easy access. On the opposite side of the bag, you can see my small eyeliner and mascara sticking out from the small opening I had created towards the bottom. I also use my mascara and eyeliner often so I like to have access to them easily. When I travel or move around with my makeup brushes, I can easily tuck everything inside the bag and nothing with get caught during transportation. I actually do have a bag for my toiletries when I travel and this brush holder goes into that bag as well. The last image shows what the brush holder looks like once everything is tucked inside the entire bag. I know that this bag with eventually fall apart and I will end up adding it to my trash pile, but as long as I don’t stretch the plastic by putting too many items into this holder, it might hold up well. This is a simple and interesting design manipulation of what we receive along with products we buy and how to re-design them to accommodate to our own needs. I really like this design manipulation because I tend to hang things a lot and I didn’t have to throw any packaging away. I hang things a lot because I like to keep my surfaces clean. Maybe this design might accommodate you somehow, I hope it will. Earth Day is an annual event, celebrated on April 22, on which day events worldwide are held to demonstrate support for environmental protection. It was first celebrated in 1970, and is now coordinated globally by the Earth Day Network and celebrated in more than 193 countries each year. On Earth Day 2016, the landmark Paris Agreement is scheduled to be signed by the United States, China, and some 120 other countries. This signing satisfies a key requirement for the entry into force of the historic draft climate protection treaty adopted by consensus of the 195 nations present at the 2015 United Nations Climate Change Conference in Paris. In 1969 at a UNESCO Conference in San Francisco, peace activist John McConnell proposed a day to honor the Earth and the concept of peace, to first be celebrated on March 21, 1970, the first day of spring in the northern hemisphere. This day of nature’s equipoise was later sanctioned in a proclamation written by McConnell and signed by Secretary General U Thant at the United Nations. A month later a separate Earth Day was founded by United States Senator Gaylord Nelson as an environmental teach-in first held on April 22, 1970. Nelson was later awarded the Presidential Medal of Freedom award in recognition of his work. While this April 22 Earth Day was focused on the United States, an organization launched by Denis Hayes, who was the original national coordinator in 1970, took it international in 1990 and organized events in 141 nations. Numerous communities celebrate Earth Week, an entire week of activities focused on the environmental issues that the world faces. Write letters to the President about climate change. You can choose to reduce your carbon footprint, give up certain habits that contribute to greenhouse gases or even start with a small herb garden. This day is to remind all of us that we have one Earth, and we must care for it before we destroy it any further. I’ve been a member of the Surfrider Foundation for many years and I follow many wildlife conservation organizations on Twitter. You can find these organizations on Twitter, Facebook and even Instagram. There are many organizations out there that help protect the environment and protect wildlife habitats. Please consider joining one or contributing to one. After reading a few articles about certain vegetables that can regrow on their own, I had to try it. I found a few articles that referred to this unique set of vegetables like this article 13 Vegetables That You Can Regrow Again And Again. I decided to try to regrow green onions, carrot and celery. The green onions started to regrow almost immediately and the celery root started to regrow after about a week. The carrots took the longest to sprout leaves, which was about the three week mark. The process was so simple. I did exactly what the article said, cutting off the celery and green onions about 3 inches before the root base. I cut the carrot bases off about half an inch from the base. That might have been a little too close, because the carrots took the longest to regrow. I changed the water out weekly, which I used to water my other plants. After about two weeks, the celery pretty much finished re-growing. It gave me a about five inches of new celery to consume, but not more than that. The green onions did keep regrowing though. I would cut off the stems about where I had cut them off before and they would regrow right back. And it’s still re-growing! I moved my carrots to my garden, so we’ll see how those turn out. This was a cool experiment, and I encourage anyone to try it. Be patient with your vegetables, and change out the water weekly. I started this process about two months ago, so this post took awhile to put together. I still eat my green onions from my experiment, and I add it into my salads each Sunday when I meal prep for the week. It’s simple and I don’t need that much to eat, I just gather what I need for the week, and by the next week, my green onions are back! There’s probably a more efficient way to grow these and I’m probably missing a few key ingredients to make my green onions even tastier, but this is a great first step in this process. This experiment does make me want to create my own aquaponic system now. Ordering take out food is the one thing I didn’t want to give up when I started living a zero waste lifestyle. The concept of always going out to eat when I didn’t want to cook, seemed viable when I first started this journey. Of course, going home, not wanting to cook and finding the energy to go out to eat was also another challenge. So, after some investigating, and research I had to put together a “Food Take Out Kit”. Most of my research was simply through trial and error with this kit, and finding restaurants willing to serve food in my dishes. I’m lucky that I live in a city that is trying to be more environmentally friendly so I did find a lot of restaurants willing to serve my take out food in my own dishes. I first called a lot of the restaurants in my downtown area, to see if they were willing to participate in my zero waste effort. A lot of the restaurants were more than willing to participate, but with different methods. Some were willing to take my dishes to the kitchen where they would directly serve my dishes right into my containers, and some were more adamant about bringing the food out on one of their own plates and then transfer it into mine, so to not contaminate their kitchen. Either way, it was fine with me. However, during my research, I did come across some restaurants that were not willing to do either method. I furthered my research by ordering take out from as many restaurants as I could, when I could. It takes a bit of trial and error, but if you have a Food Take Out Kit, I think it make these trips much smoother. The one thing that seemed a bit tricky was the different types and sizes of side dishes these restaurants offered. Also, I had to slowly gauge what sauces or dips would come along with certain dishes. I didn’t really know what sized to go container each restaurant used, so I used large glass tupperware in hopes that the volume of my tupperware would suffice. I use tupperware by Kinetic GoGREEN Glassworks Series 6-Piece Rectangular Oven Safe Glass Food Storage Container Set 54-Ounce Each for my larger dishes, as well as Kinetic GoGREEN Glassworks Series 6 Piece Square Oven Safe Glass Food Storage Container Set 35-Ounce Each for my smaller dishes, side sides or appetizers. I use Pyrex Simply Store 1-Cup Round Glass Food Storage Dish for sauces or dips that the dishes might come with. I also will bring my dishes to my local grocery stores, to their deli counter to fill up on whatever I need to. It’s also easy to fill up on cheeses or meats at the deli counter with large rectangular dishes like these. It’s easier for the deli worker to tare the weight of your dish and to fit your choices easily as it’s also easy for them to move around the items to fit more snug. The downfall of this system is that not every restaurant will allow you to use your own dishes so therefore you either have the choice of eating out at the restaurant or not at all. On the other hand, there is a way to bring that food home which you may have a good selection of restaurants willing to participate in it, and you’re not producing unnecessary trash. I don’t mind that certain restaurants opt out of this participation. They have every right to run their business as they please. However, I’d prefer to buy from restaurants willing to do this though. If you want to try this Food Take Out Kit, you actually may already have tupperware at home that you could use. If not, I included links to the ones I use. To clear up any confusion, make sure to show the hostess that you already have the 1-cup containers for sauces and dips ready to be filled. I’ve noticed that their concerns are usually associated with the condiments that come with the dishes. The last bonus with creating a zero waste take out food system, is that if you’re not finished with the meals once you bring them home, just place the lids back on and you can save the food for later or eat it the next day. It’s such a simple clean up system! Yes, I use two bags to carry these dishes around. Yes, it gets heavy at times. Yes, it’s worth it, knowing that I’m not contributing to more trash to the landfill.